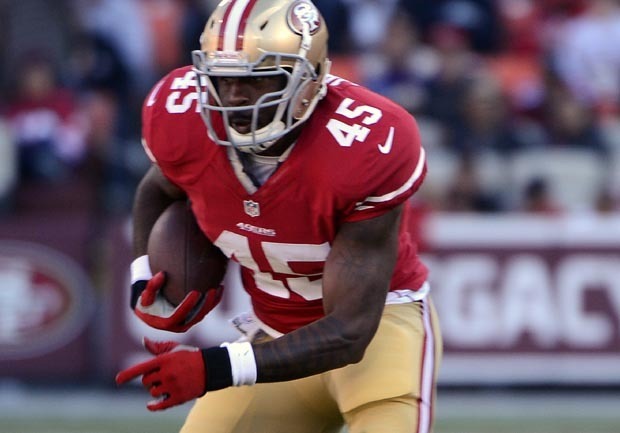 SAN FRANCISCO 49ers running back Brandon Jacobs is becoming even more frustrated with his limited role for San Francisco. Jacobs on Saturday said via Instagram that he is "on this team rotting away" while referring to his first season with the Niners as his "worst" yet during an eight-year career that included seven with the New York Giants. "I am on this team rotting away so why would I wanna put any pics up of anything that say niners," Jacobs said. "This is by far the worst year I ever had, I'll tell you like I told plenty others." Jacobs  inactive again with rookie LaMichael James active for the first time  has repeatedly referred any questions about his playing time to head coach Jim Harbaugh. When asked after Sunday's game about Jacobs' comments, Harbaugh only said, "I have no comment for that."